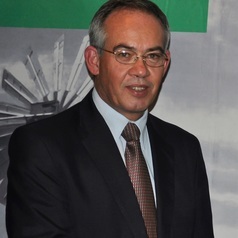 Dirk Kotzé is a Professor in Political Sciences at the University of South Africa (UNISA). His graduate studies were in both Political Sciences and History at the universities of Stellenbosch, Pretoria and the Witwatersrand. He also attended courses in political conflict resolution at Uppsala University in Sweden. Since 1988 he has been involved in academic teaching and especially concentrates on South African politics, political conflict resolution, public policy and ideologies. He is actively involved in the most important professional organisations of the Political Sciences: as one of the Vice-Presidents of the International Political Science Association and as the National Secretary of the South African Association of Political Studies. As part of his lecturing he is often in Ankara (Turkey) to present courses on conflict resolution, South African politics and an overview of African politics. Furthermore, he was involved in the official training programme in South Africa for the Government of South Sudan and with the mediation process in Madagascar. He was also a member of the ministerial panel about ownership of land by foreigners in South Africa in 2007. He holds a PhD in Political Studies from the University of the Witwatersrand.